“If You Go Overseas” Copyright 1943 by the International Committee of the Young Men’s Christian Association (YMCA). 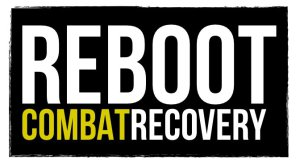 Presented by the Army and Navy Department of the YMCA (author’s collection). 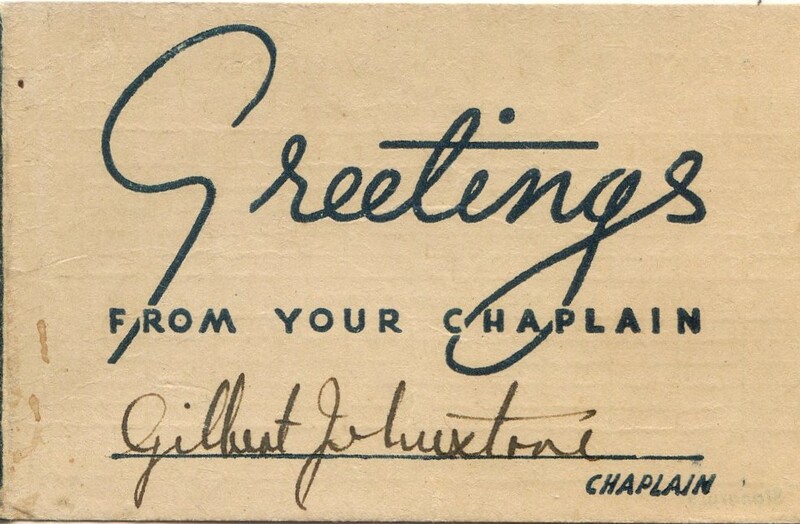 “A Greeting from Your Chaplain” by Chaplain Herbert Moehlmann (author’s collection). “Chaplain F. Herbert Moehlmann … graduated from Wartburg Seminary in 1918 and was the first pastor of Trinity Lutheran Church in Waterloo. He entered the Army chaplaincy in 1930 and was stationed in Hawaii at the time of the Pearl Harbor attack. He attained the rank of Colonel while supervising as many as 242 chaplains in the European Theater during World War II. When ill health forced his retirement in 1946, he became a visitation pastor in Winter Park, Fla., working until the age of 87″ (Wartburg College website). 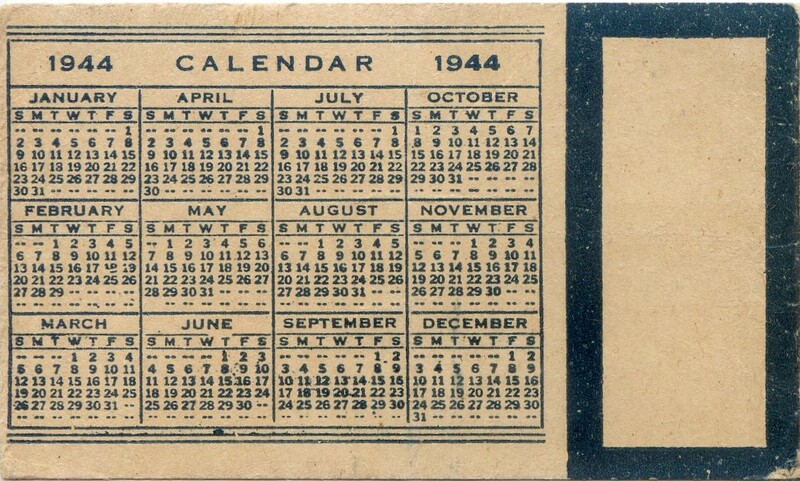 Likely distributed by the chaplain around Christmas 1943, this folded card includes a couple of verses and an invitation to attend Chapel Services. There is also an invitation to see the chaplain with any problems the Soldier may have. 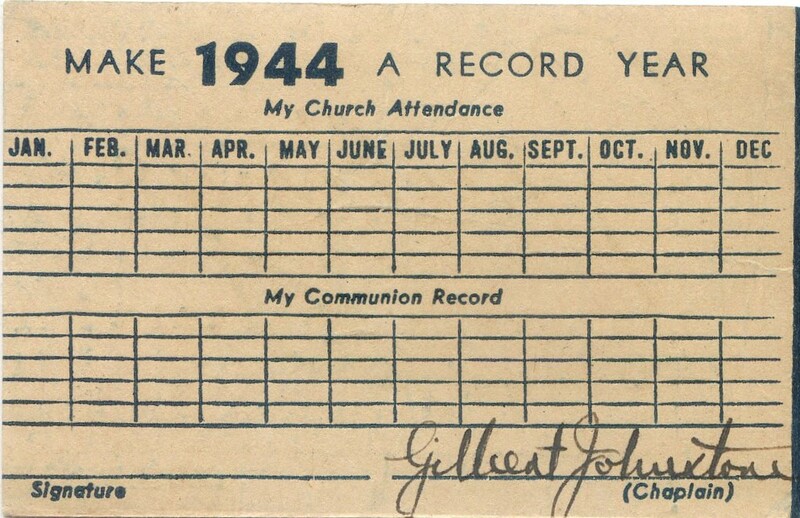 The inside includes a 1944 calendar to check off Sunday worship attendance as well as communion participation with the encouragement to “make 1944 a record year” and is pre-signed by the chaplain, Gilbert Johnstone (author’s collection). Report from the Lorraine District Protestant Chaplains’ Retreat in Jougne, France, 6-10 August 1945, which includes several interesting addresses and devotionals (author’s collection). 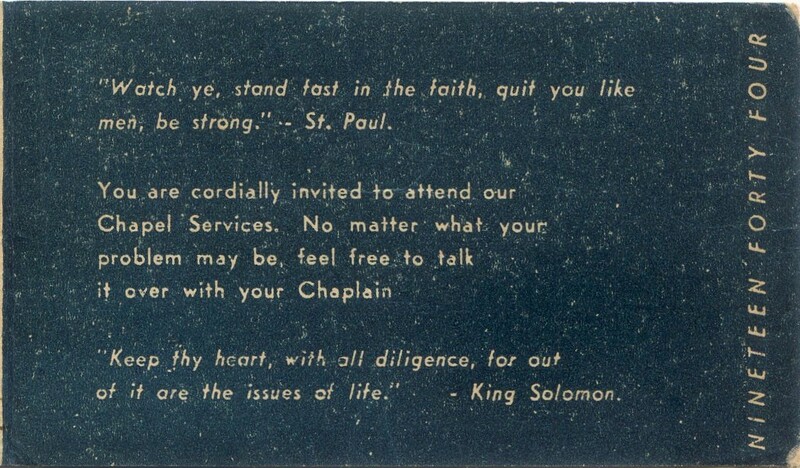 “Helpful Hints to Soldiers From Your Chaplain,” a flyer given to Eight Infantry Division Soldiers at Fort Jackson, SC, in the 1950’s (author’s collection). Flyer about the Air Force Chaplain Program at Lackland Air Force Base, San Antonio, Texas, 1952/53 (author’s collection). “The Chaplain Speaks to Men Entering Military Service” by Gynther Storaasli, retired chaplain. Published by the National Lutheran Council between 1943 and 1963 (author’s collection). 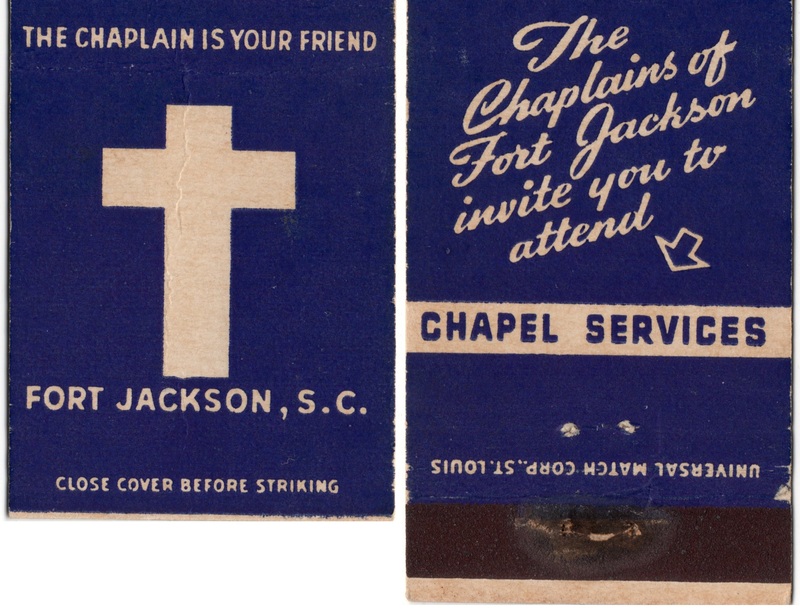 Matchbook promoting chaplain ministry at Fort Jackson, pre-1966 (author’s collection). 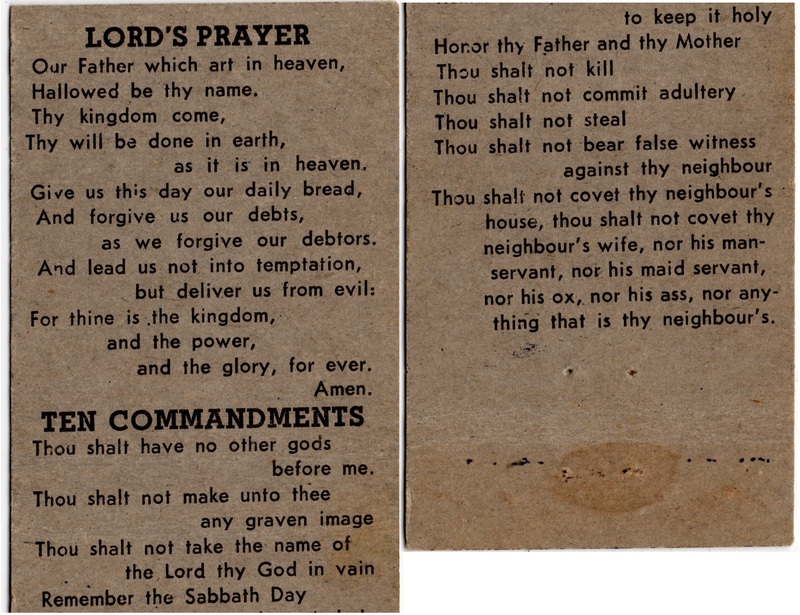 Inside of matchbook promoting chaplain ministry on Fort Jackson with the Lord’s Prayer and Ten Commandments, pre-1966 (author’s collection). 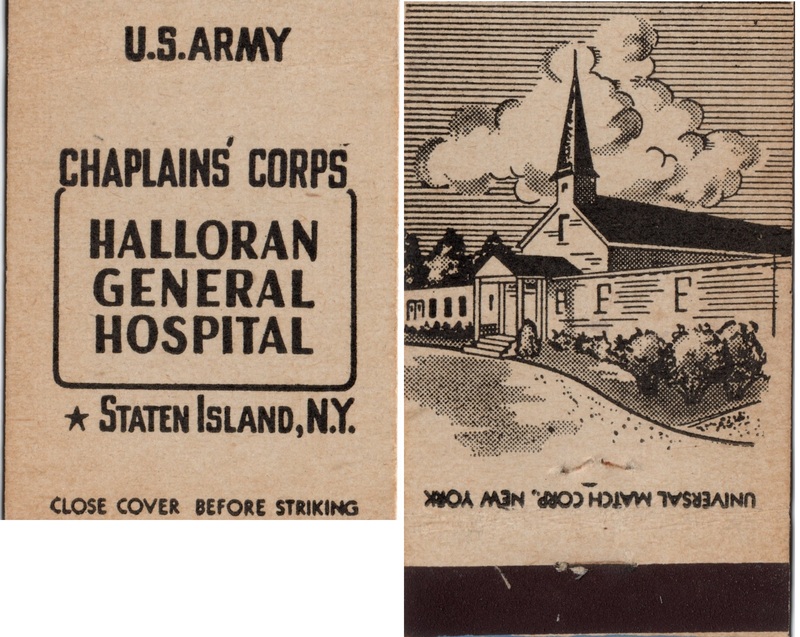 Matchbook promoting chaplain ministry at the Halloran General Hospital in Staten Island, pre-1951, when HGH closed (author’s collection).